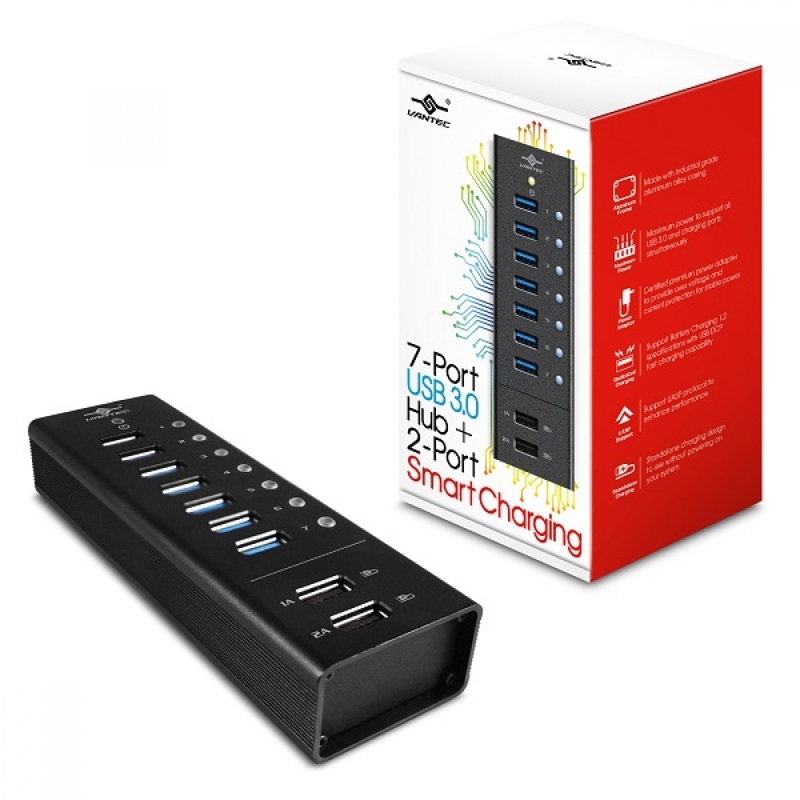 The Vantec USB 3.0 Aluminum Smart Charging Hub opens up the opportunity to connect multiple USB devices and charge your tablet or smart phone using the dedicated fast charging ports simultaneously. 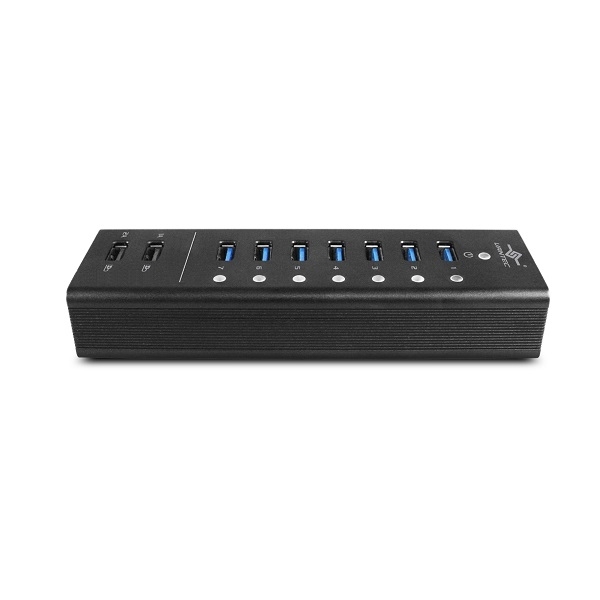 This will save you time and consolidate your devices at one convenient place. 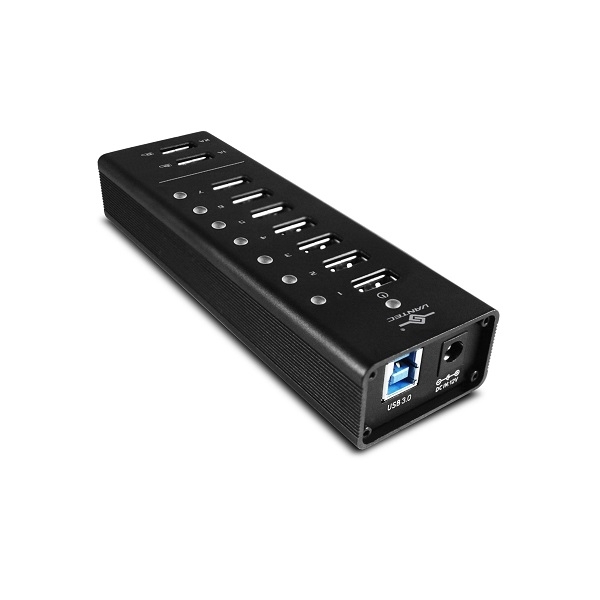 This Hub is made with industrial grade aluminum casing and gives you the maximum Current per USB 3.0 or DCP port for any power hungry devices. 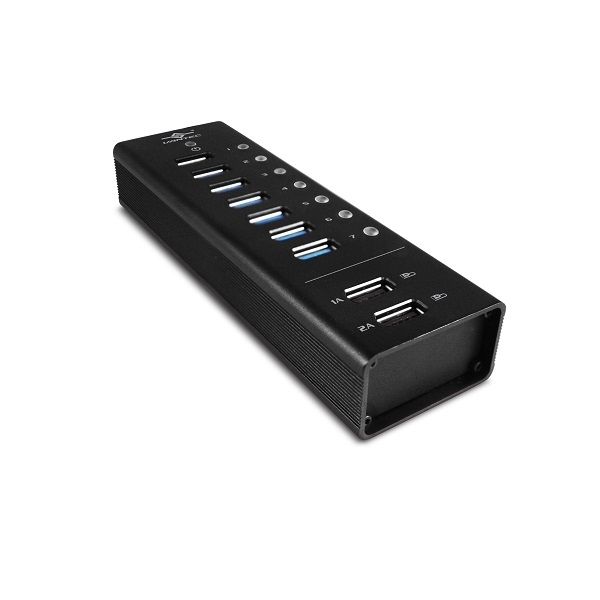 A Certified Power Adapter is included to ensure stable power for both data and the dedicated charging ports. 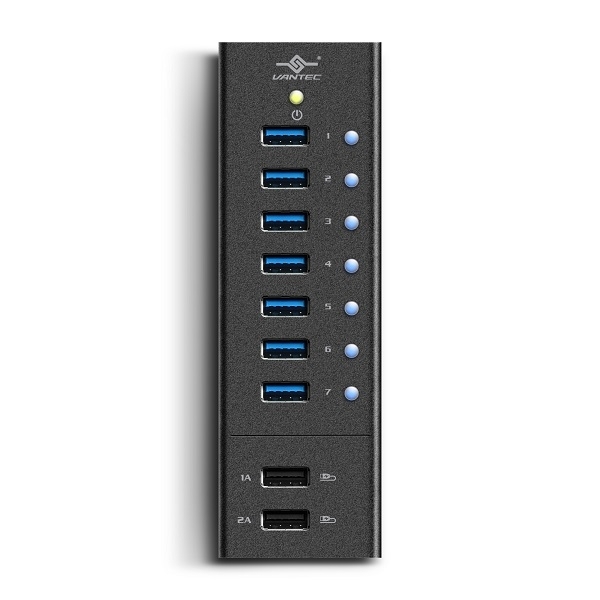 With USAP support and Plug and Play design, this Hub will simplify and speed up any file transfer. Power: Premium AC adapter 12V, 5Amps.